1 Bdrm Grnd flr Flat. Hall. Lounge. K'ette. Bdrm. Shower rm (CT band - A). Garden. 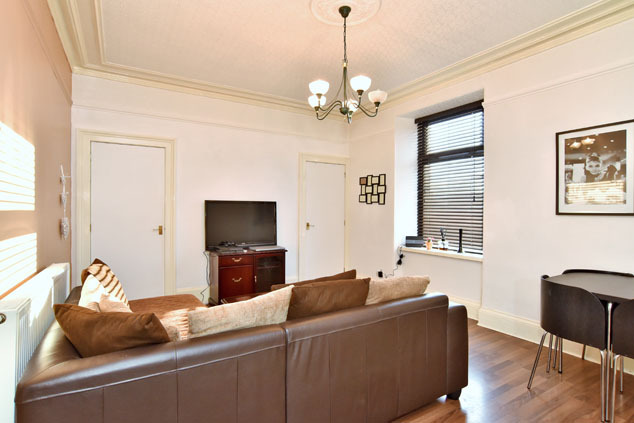 Price over £78,000 Entry by arr. Viewing contact solicitors. Below Home Report Valuation (EPC band - D). 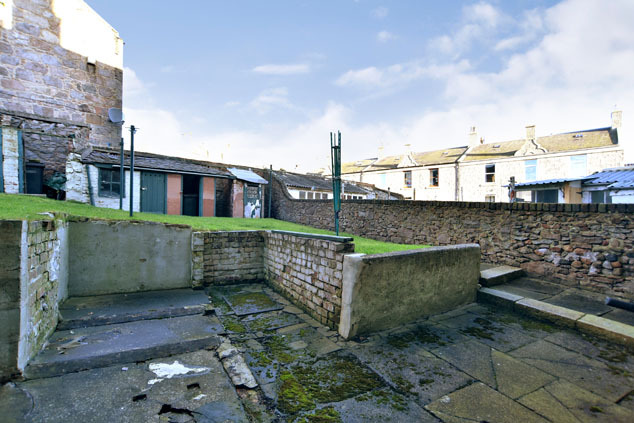 Situated in a quiet pedestrian lane, within walking distance of both Aberdeen’s university and college, as well as a range of local amenities at Queens Links and the city centre, we are delighted to offer for sale this one bedroomed ground floor right flat with garden area to front, exclusive store and shared rear garden. Enjoying the benefit of gas central heating and double glazing, the internal accommodation comprises of an entrance hall, a generous sized lounge featuring the lovely traditional double height skirtings, plaster cornice and ceiling rose, a beautifully presented and fully tiled shower room, double bedroom and kitchenette. 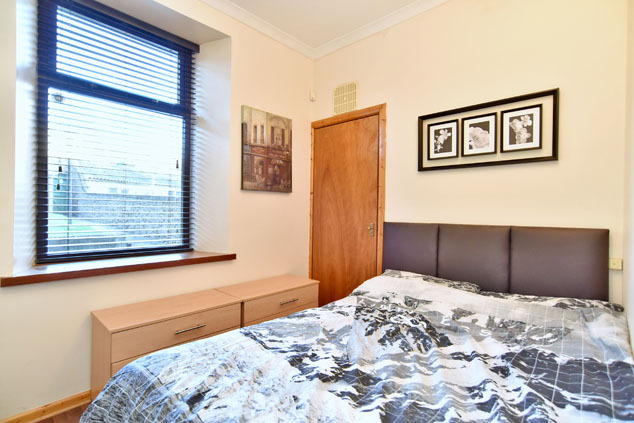 Worthy of particular mention, there is an exclusive garden area to the front of the property enclosed by mature hedging, together with a private understair cupboard in the communal hallway and shared gardens to the rear. 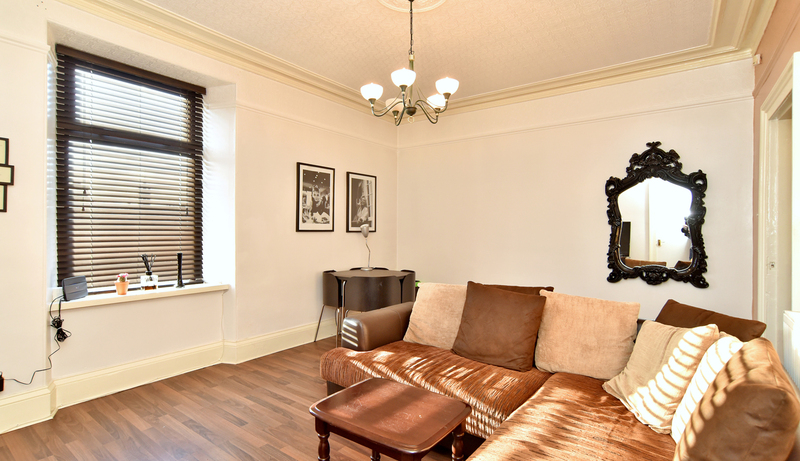 Early viewing is genuinely recommended to fully appreciate the standard of accommodation on offer, together with its excellent central yet peaceful location. 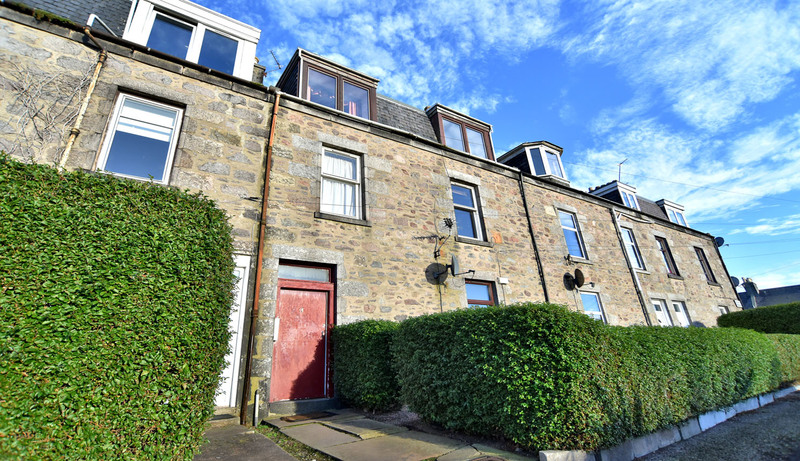 Hawthorn Terrace is a quiet pedestrian street within the King Street area of the city close to Aberdeen University which is only some 5 minutes walk from the property. 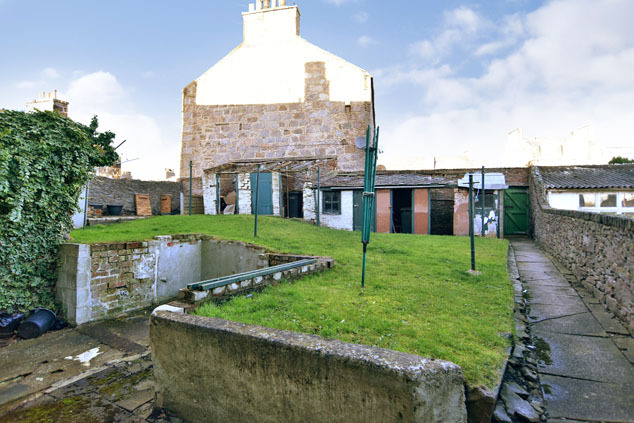 A wealth of local amenities are close at hand and Union Street, Aberdeen’s main thoroughfare, is only some 10 minutes walk from the property with its wealth of amenities and recreational facilities. Regular public transport to many parts of the city is readily available and the hospital complex at Foresterhill is within easy traveling distance. In contrast of the bustling city centre, lovely coastal walks along Aberdeen beach are on the doorstep as is the beach boulevard with its retail parks, cafes, shops and cinema . Communal Hall The communal hallways are protected by a security entry system. From the entrance hall a door gives access to the rear garden, and an exclusive understair cupboard provides great storage. Hallway Fitted with laminate flooring, with all rooms leading off. Security entry handset. Lounge 15’4” x 12’3” [4.70m x 3.76m] approx. 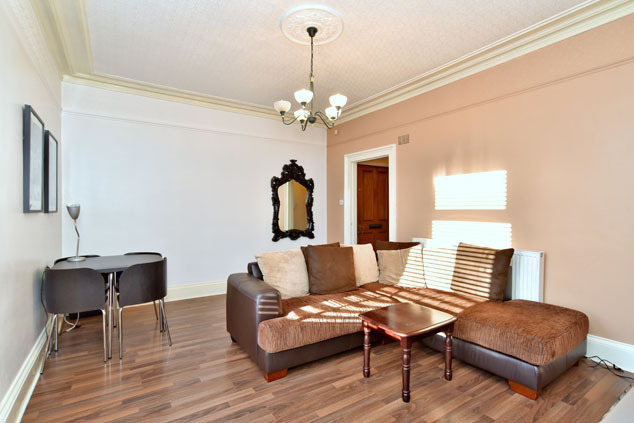 A generous sized lounge, presented in neutral décor and fitted with laminate flooring. 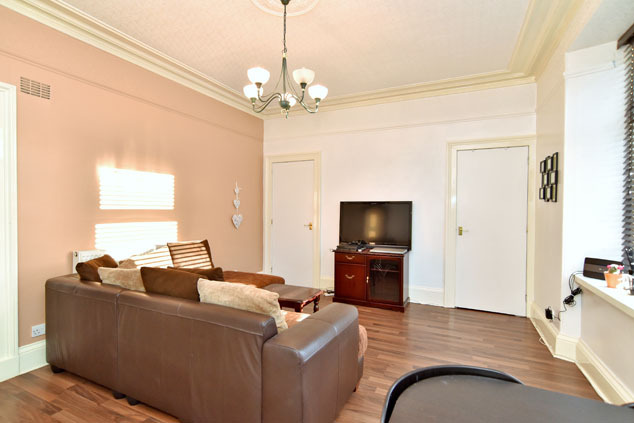 Offering ample space for furniture and looking out across the front, this attractive room retains the traditional deep skirtings, ceiling rose and plaster cornice. Two built-in cupboards. Kitchenette 7’2” x 4’4” [2.20m x 1.34m] approx. 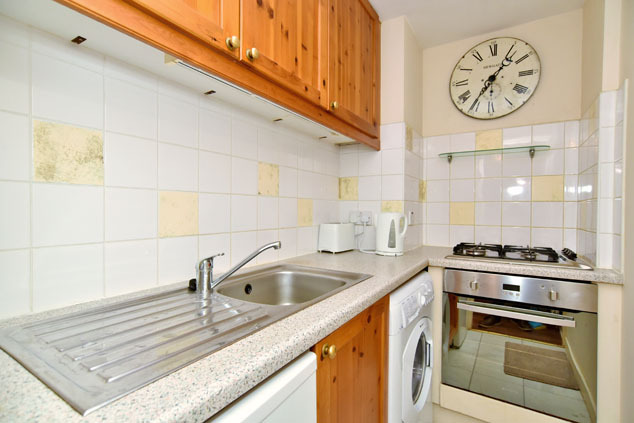 Fitted with pine storage cabinets at wall and base level, comprising runs of co-ordinating worktops, tiled surrounds and an inset single drainer stainless steel sink. Ceramic tiled floor. The built-in gas hob, electric oven, under unit fridge/freezer and automatic washing machine will remain. Bedroom 8’5” x 8’5” [2.57m x 2.57m] approx. 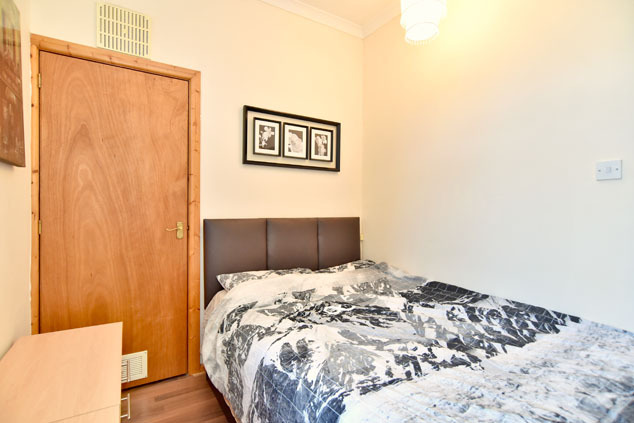 Located to the rear, fitted with laminate flooring and presented in neutral emulsion décor. Built-in shelved cupboard housing the central heating boiler. Shower Room A modern, upgraded shower room, finished along the wet walls with mocha Aqua panelling. 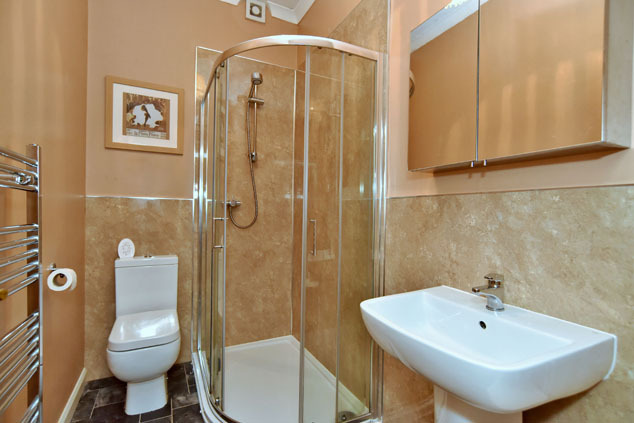 It is fitted with a white suite, comprising of a w.c., pedestal wash hand basin and self-contained corner shower cabinet. Tiled effect flooring. Chrome ladder radiator. Extractor. Outside There is a small garden area laid with gravel chips to the front of the property, enclosed by mature hedging. The shared gardens to the rear incorporate a pathway, seating area and drying green with exclusive shed. Notes Gas central heating. Full double glazing. EPC=D. All fitted floor coverings, blinds, light fittings and white goods to remain.